The long hours of darkness that signify the encroaching winter can cast an unfavourable light on East London, writes Sarah Snaith. The Gentle Author’s London Album illuminates some stories and images that have receded into the shadows. There are more than 600 historical and contemporary photographs of the people and places, old and new, that make the city and its East End like no other. John Claridge’s portraits of the members of the Ex-Boxers Association. Under each portrait are the dates of the fighter’s first and last venture into the ring. The Gentle Author is best known for his daily writings posted to his Spitalfields Life website, which has drawn considerable attention since the first post in 2009. Last year the endeavour spawned a book (see ‘Bells, book and blessings’ on the Eye blog), followed in July this year by a publishing venture called Spitalfields Life Books. The publisher’s first title was Travellers’ Children in London Fields by photographer Colin O’Brien (see ‘Books Received #4’ on the Eye blog). The pointe shoe makers talk about how they came to the job, and the importance of their work to the ballet world: ‘No shoes, no dance’. Each maker imprints their own symbol on the sole of the shoes they craft. 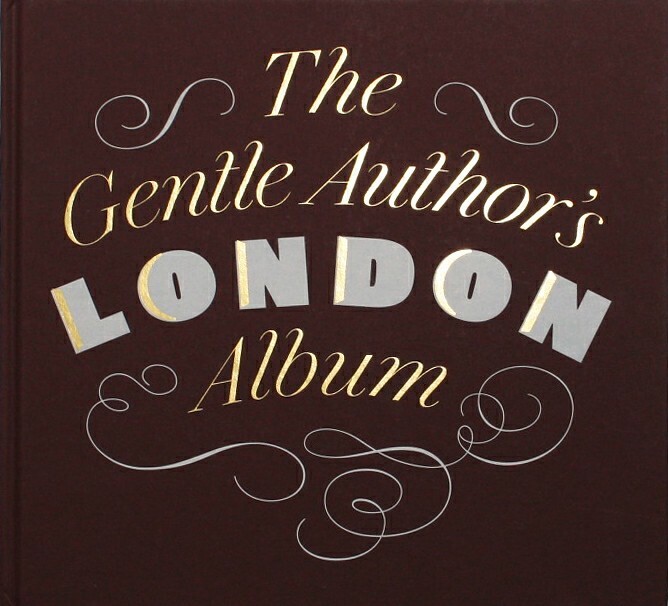 Now we have The Gentle Author’s London Album , a substantial, casebound volume with photographs by Bob Mazzer, Martin Usborne (see ‘Who didn’t let the dogs out?’ on the Eye blog), Claudia Leisinger, Colin O’Brien, Phil Maxwell and the anonymous Gentle Author himself, among others. There are also many archive images from the Bishopsgate Institute, taken for the London and Middlesex Archaeology Society. These historic photographs include images of the pubs, bridges and dogs of Old London, which are particularly charming. Horace Warner’s portraits of the ‘Spitalfields Nippers’, 1901-1902, was prompted to photograph the children ‘to witness the lives of the people’ struck by poverty in the East End. 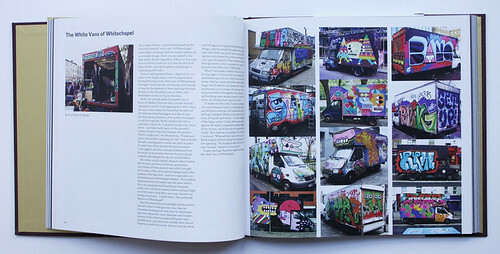 The painted ‘white vans’ of Whitechapel, photographed by The Gentle Author, many of which feature graffiti by the artist Malarky. Otherwise, the book is a kind of portrait album with the voices of local people extensively documented within. The Gentle Author introduces the reader to the elderly women of the East End who he frames as ‘sentinels of the territory’, the burly pointe shoe makers at the Freed of London factory in Hackney, Merlin the raven with his mate and master Chris Skaife at The Tower of London, and Crudgie the motorbicycle courier, among many other delightful and eccentric characters. The book was designed by David Pearson using four typefaces: Matthew Carter’s Miller for the body text; plus Brunel, Doric and Chiswick, designed by Paul Barnes (see Reputations, Eye 82). 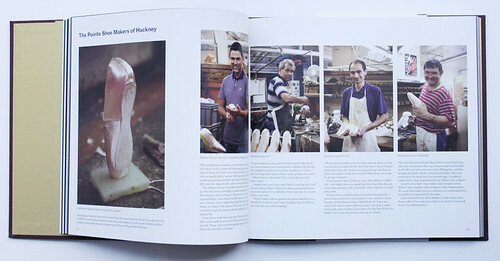 The book’s publication was funded by some 40-odd readers of Spitalfields Life. 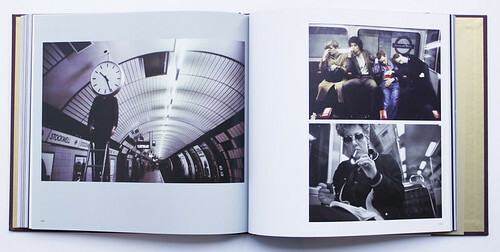 Photographs from ‘Down the Tube’ taken by Bob Mazzer in the 1980s on his underground journeys between King’s Cross and Aldgate.